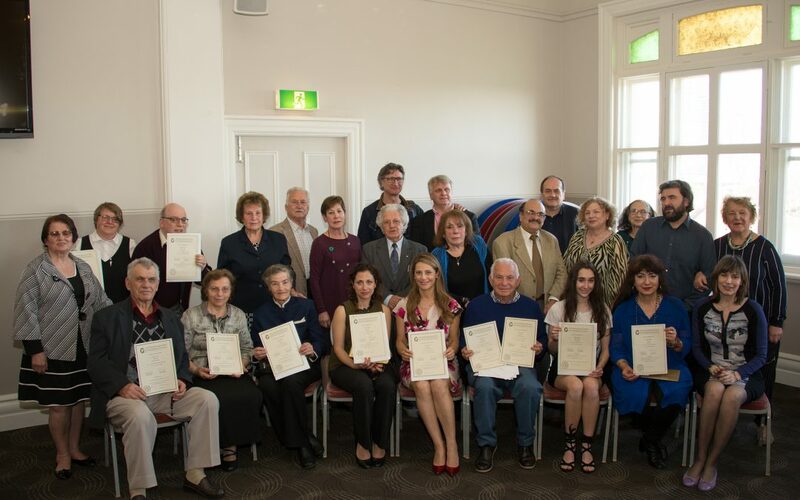 The Greek-Australian Cultural League is announcing this year’s Literary Competition. This Competition is now an established annual event in the cultural and literary scene of the Greek community in Australia. The Literary Competition includes works written in the Greek or English language, by writers residing in Australia and over 18 years of age, in the following categories: Poetry and Short story. We wish to remind you of its launch and also, to draw to your attention the importance of the participation of all our members and friends in it. Please submit your works by Friday 12th July, 2019. With the participation of all of us, the Literary Competition will be upgraded through reaching the widest pool of writers in Australia and also, it will give to all our members and friends the opportunity to present their unpublished works to a wider audience. Looking forward to your positive response, we are forwarding the Rules of the Literary Competition and the Application for Participation that you may send together with your works to the e-mail address gaclitcomp@gmail.com. The winning entries in each category in each language will be published in Issue No. 65, 2019 of the annual bilingual periodical of the GACL, ANTIPODES. The results of the Literary Competition will be announced at a special function incorporating the launch of the periodical Antipodes in October 2019. The Literary Competition covers work written in either Greek or English in the following categories: poetry and short stories, by writers residing in Australia and over 18 years of age. Participants may submit work in one or all the categories and in one or both languages, with only one piece in each category they choose. Works that do not comply with the limits of content, as prescribed below, will be automatically rejected and will not be forwarded to the Judging Panel. All submissions should be the original work(s) of the authors and should not have been submitted in another competition or have been previously published. Each work submitted should be signed by a pseudonym (nom de plume) and thesame pseudonym should be used in signing all the entries submitted by the same person. Each competition entry should be sent only electronically (Word document attachment) to the competition email address: gaclitcomp@gmail.com. Additionally, in a separate text sent to the same email address, participants are required to forward their particulars, including the pseudonym, the full name, address and telephone numbers and also, the number of verses in their poems and number of words in their short stories. The Literary judges reserve the right to preclude an entry if it is considered to have too many syntactical or orthographical mistakes. The First Prize in each category and in each language will receive a commemorative certificate and a monetary prize. The Second and Third Prizes and any Commendations will receive a commemorative award certificate and books. In all categories and languages, the works awarded First Prize will be published in the 65th issue of the periodical Antipodes which will be launched on the day of the announcement of the awards in October, 2019. Language(es) of works submitted: …………………………………….